Welcome to Theology of Games, your top source for board game news, reviews, and interviews! We feature our Double-Take Reviews of the hottest tabletop titles on our blog. We also feature three different boardgame podcast options for your listening pleasure! Theology of Games Podcast - A monthly 60+ Minute show featuring Scott Firestone, Jeremiah Isley and AJ Skifstad, as they discuss, review and report all the latest in gaming news! That’s How I Roll - A weekly podcast with Jeremiah Isley, who talks about the games we play and the lives we live. Boardgames Daily - A daily show with AJ Skifstad, Scott Firestone and Jeremiah Isley as they bring you up to the minute happenings, First Takes on new boardgame titles, as well as Topic Tuesdays, Game Night Cage Fights, and What Will You Play Fridays! Alright, I’ll be honest. 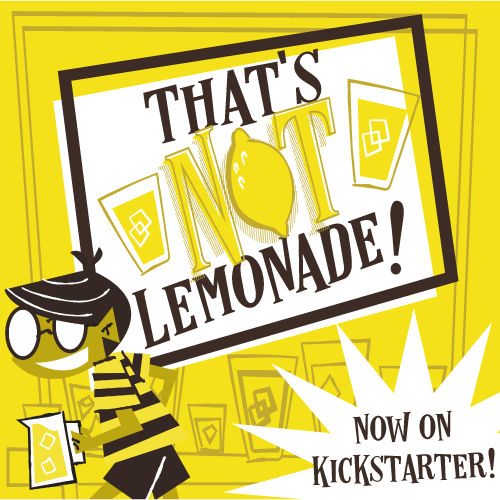 I considered doing an April Fool’s post for Kickstarter Weekly this week. But then I thought that whatever goofball projects I highlighted might have their feelings hurt by being a joke, and I don’t want to hurt feelings. So instead I’m just highlighting a couple of normal game campaigns that you might be interested in. Let’s check ‘em out!